Barring a last-minute change in plans, the Senate Finance Committee will vote on a health care reform bill Tuesday. Discussion--i.e., speeches--are supposed to start at 10 a.m. The vote itself is slated for 2 pm. The bill is expected to pass. The real question, most people will tell you, is the margin. 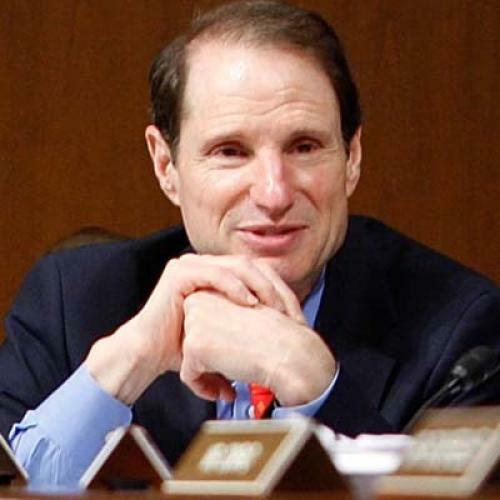 And while a lot of focus will be on Maine Republican Olympia Snowe, one Democrat also remains a question mark: Ron Wyden. Last week I sat down with Wyden. We talked a bit about his controversial "free choice" amendment. Instead of restricting the new insurance exchanges primarily to the self-employed and small businesses, Wyden's amendment would open it up to anybody. But it's raised serious opposition from both employers and unions, who have--so far--succeeded in keeping it out of actual legislation. The bill Finance considers on Tuesday doesn't include the choice amendment. And that's one reason Wyden has refused to pledge his support for the bill. In the interview, I ask Wyden why he thinks it's so important. As you can see in the (edited) transcript below, a major concern for him is cost: Without the amendment, he worries, people in employer-sponsored insurance won't see enough relief from rising premiums. JC: So how are you going to vote? RW: Lots to do before Tuesday, and I’ll have something to say when I vote. JC: Going forward, what do you like best about the Finance bill--and what do you want to see changed? RW: Obviously there are delivery system reforms that are going to make sense for the long term. All of that is very constructive. What I’m concerned about is that, right out of the box, people are going to be looking for some real cost containment. They’re going to say, my premiums are going through the stratosphere. Congress has been working on health reform all this time. How’s this going to provide some real relief for me and my family? And I think you’re not going to see very much. There’s been a bunch of analyses. The premiums are going to keep soaring up and then people are going to say, what was done to hold insurance companies in particular accountable? What I’ve pursued all these years, since the winter of 2006, I’ve said the key to holding costs down is turning the tables on the insurance industry--giving the consumer new clout in the market place, through expanded choices and competition and that kind of consumer clout and affordability, go hand in hand. Many of the country’s leading authorities on health care believe not much is going to change anytime soon unless you give the consumer, individuals in our country, the capacity to turn the tables on the insurance industry. JC: Is this still a stage when you can actually make arguments about substance, citing studies or projections, and change people’s minds? RW: Yes, absolutely. There are a lot of people who, during these last few months, didn’t really get the whole story. For example, one of the discussions I’ve had with some of the public option supporters, here in the Senate, is this reality that almost everybody carrying public option signs in America over the past few months would not get to choose a public option. Hardly anyone’s picked up on this. In the New York Times survey on the public option, which is what everybody quotes to say there’s tremendous support for the idea, the question is framed this way: Would you support a public option that all Americans would have access to? But CBO said, I think, that just 12 or 13 million out of several hundred million could get into the plan. And the Senate’s not talking about much more. So, yes, people are starting to kind of come around to realizing exactly what the choices are going to be. JC: What do you say to your friends in organized labor who are not happy--who are going after your choice proposal? RW: I say, folks, we’re very eager to work with you in various ways to address your concerns. We’ve pointed out that the bill already has robust risk adjustment and reinsurance [which would help address the worry of hurting older workes] and that we’re open to other ways of addressing their problems. But you get the feeling there’s a bit of a control issue here--that when people have choices, when people have these additional options, they’re going to hold the people who are controlling the money, the benefits managers, for companies and for labor, they’re going to hold them accountable. Now I would hope that those benefits managers, be they union folks or company people, would say let’s think about the long view here. This could really strengthen our hand. If our people have more choices we can go to our insurer and say look folks, you better give us a better deal. We want to stand up for our folks, we want them to have the relationship with us, not head off with a voucher to the exchange. JC: Are there still opportunities to change the bill? As the saying goes, how much is getting baked into the cake now? RW: I think this cake is far, far from baked. And I say that primarily because of what’s coming on the cost issue. I think you’re going to see, in the next couple of weeks in particular, some powerful evidence that this bill does not cut it when it comes to holding down premiums and containing costs, which is what most Americans see as the essence of health reform. It’s almost like there are two discussions going on. People here read about the CBO report and said, $830 billion, they found enough revenue to pay for a significant entitlement expansion. That’s the number that people have looked at today. But I’m going home this weekend. And what people are going to ask me, and pay attention to, is not the Washington number. They’re going to pay attention to the number that they’re going to see in their mid-sized business in a state with over 12 percent unemployment. They’re going to be watching what this means in terms of their premiums. JC: So what should I be watching and listening for Tuesday? The betting, as you know, is that this will pass. RW: I think there are a lot of hours ahead between now and Tuesday. I know we’re spending our time based on the premise that this is another kind of key stage. I’ve talked to Senator Reid several times over the last few days, talked to Senator Baucus. We’ll continue to look for ways to try to use this stage of the process on the question of holding down costs and premiums. ... But there's more time to make changes. Conference committee is really the ballgame.